We provide Latin America, QUALITY and PROFESSIONALISM! 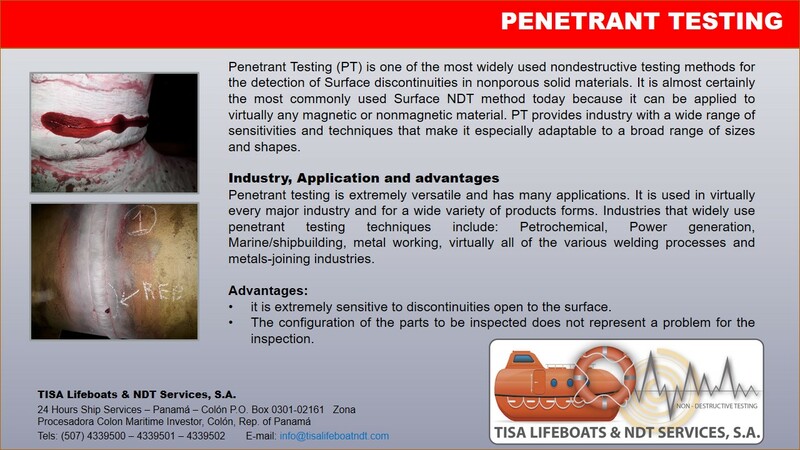 Mandatory non-destructive surface testing in all standards and codes. 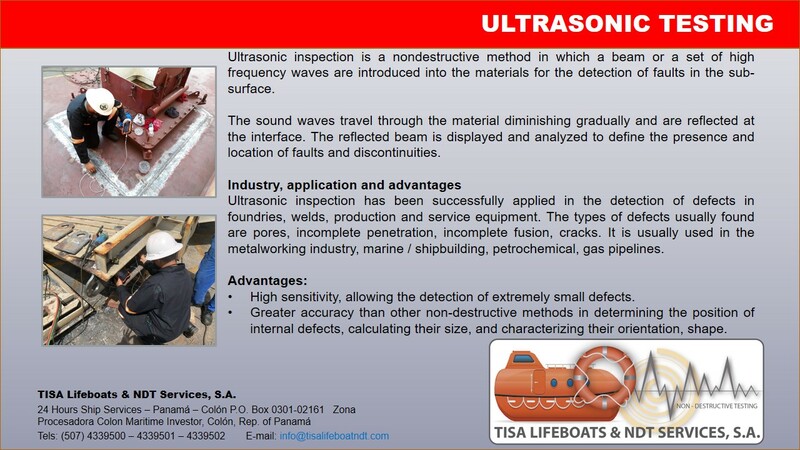 Method in which a beam or a set of high frequency waves are introduced into the materials for the detection of faults in the sub-surface. Method for detecting discontinuities that are primarily linear and located at or near the Surface of ferromagnetic components and structures. 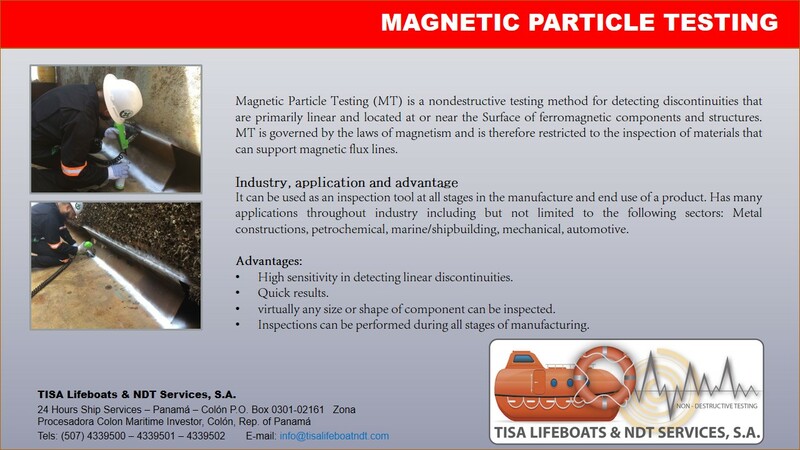 One of the most widely used NDT methods for the detection of Surface discontinuities in nonporous solid materials. 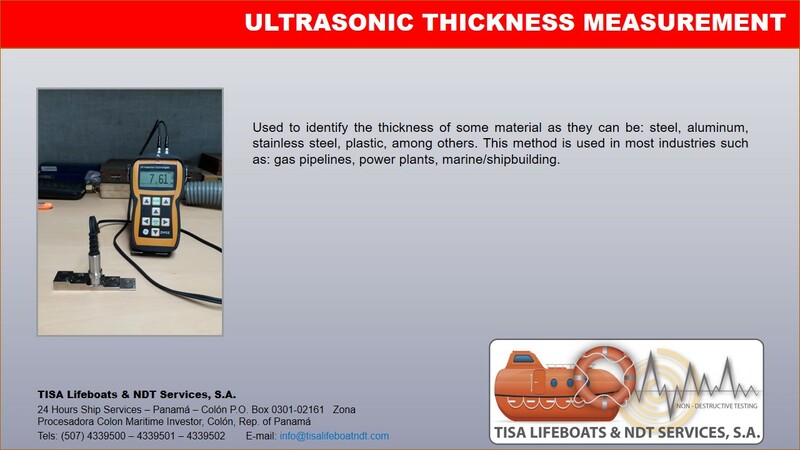 Used to identify the thickness of some material as they can be: steel, aluminum, stainless steel, plastic, among others. 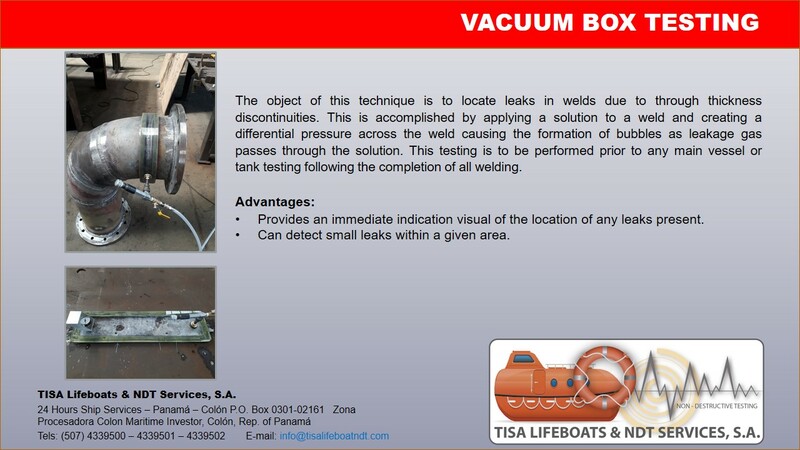 This technique is to locate leaks in welds due to through thickness discontinuities. 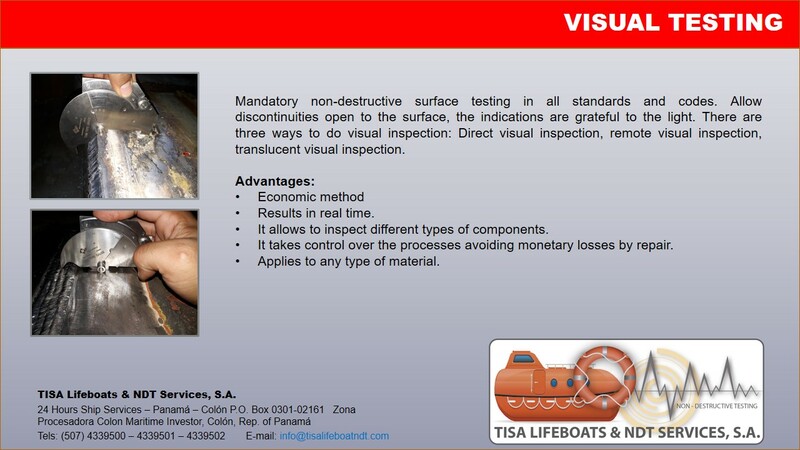 Tisa Lifeboats & NDT Services S.A., is a Panamanian company established a decade ago, dedicated to non-destructive and welding inspection services. Copyright © 2018 by Talleres Industriales. All rights reserved.